Written text can be like music – creative and exciting, thrilling and moving. The death of Richard Gill on 28 October, 2018 has brought accolades, tributes, reminiscences and reminders of the joys that he, as a music educator, brought to everyone he worked with. It has prompted music in the street at his house on the morning he died, and the flash choir at the City recital Hall on Friday 1 November. It was a reminder of the power of the process of creativity, and of the inspirational teacher. A reminder, too, of the power of music. Richard Gill showed everyone that making music is not secret, it is not for only a select few. 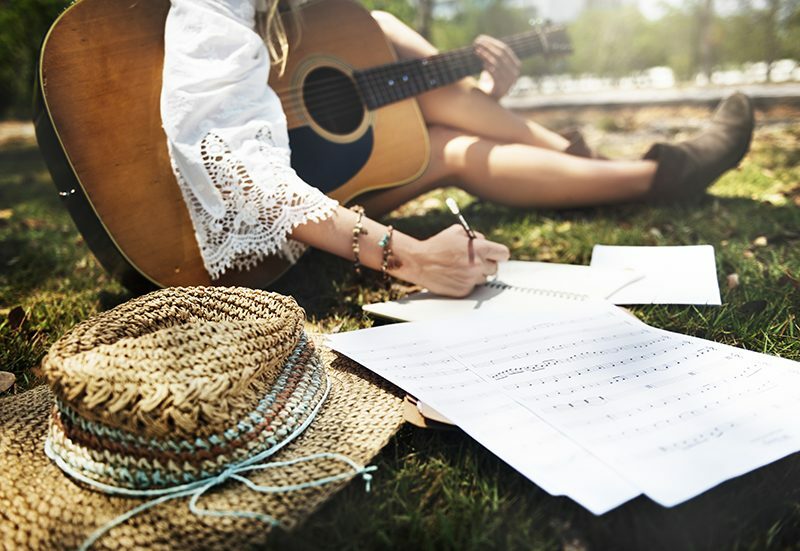 Music – and writing – are for everyone. There are similarities between the two. The terminologies overlap. Conventions, standard forms, and varied concepts work together. They are both lyrical and rhythmic. They both build from basic elements, and both require an audience. Text has words that are used to create clauses, the ‘basic unit of meaning’ in English grammar (Derewianka 2011 p13), and clauses are combined into sentences. These sentences work together to form complete texts. It’s in the author’s use of the tools of written English in complete texts that the complexity and magic of writing happens. Authors use themes and motifs, the foregrounding and privileging of features, characterization, and gaps and silences, together with the myriad other features of the language to make text. Music, too, has its basic unit if meaning, and it is the combination of structure, the motifs and phrases, melody, harmony, and the gaps and silences of sound that composers use, together with the myriad other musical concepts, to make the musical ‘text’. And it’s raining – raining – raining! There are complexities of rhythm in both. And that is just the beginning. Written text has imagery and symbolism, point of view and style, voice and tone, and features of simile and hyperbole, for example. Music has its own version of all these, too, combined into sound. Both have varieties of structure, or shape. There is the formality of written text – the letter shapes that combine to form the sounds of our language, the formalities of grammar, the conventions of spelling and punctuation, of paragraphing and formatting. These are transformed by the reader into the sounds and meaning of language. There is the musical score – the lines and dots and squiggles, the conventions of representation, and foreign terms, all of which can be transformed by the musician into the sounds and meaning of music. It is in song lyrics that written text and music are able to combine to create a shared whole. Richard Gill used singing to demonstrate and confirm his understanding of the accessibility of music to everyone, and singing as the basis for a full musical education. In the regular classroom, students are asked to use the English language in written text to learn, to reflect on learning, and to demonstrate learning. Our writing curriculum asks our students to be both composer and performer as they learn the intricacies of this skill. We have to be as knowledgeable and as skilled about our language as we can be, so we can teach and guide our students to develop their skills, knowledge and understandings of themselves as writers, and to be able to really appreciate the written word. We can do this through sharing text with our students by reading to them – emotive and moving text that touches and affects the listener. They need to hear and see what is possible. Because it is here that the author’s voice comes to the fore. Their purpose in writing is to change the reader, to affect their thinking, to change them. Our students need to know that this is the purpose of their writing. It must come from inside them, where they think and feel and are confused and frightened and joyous and excited. Where music comes from. These days we hear numerous claims made for the benefits of a structured music education on a child’s capacity to learn. While these are true, and supported by strong empirical evidence, it has to be remembered that these benefits are bonuses and not reasons for teaching music to children. We teach music to children so that they might develop a lifelong association with – and a love of – music for its own sake. This must also be true of written text. The evidence for teaching a fully structured and described writing curriculum is fading as results in the universal, narrowly prescribed testing process plummet between Years 3 and 9. Our students know how to write. They want to communicate, to feel and breathe and relish their communication. As we do, as people, and as teachers. If we work only with constrained, narrow definitions of writing being prescriptive and formulaic, that is what our students learn. Surely we should be teaching writing to children so that ‘they might develop a lifelong association with – and a love of …’ writing for its own sake. While not many of us may be the Richard Gill of written text, we can use his knowledge and enthusiasm for music as the personal as a great model. Imagine tribute readings of personal text outside your house as you slip away.